What's better than a blanket with arms? The fine folks who make "The Blanket With Sleeves" are now planning something else to keep you toasty. That's right, the Snuggies people who typically target the whole family have announced an adults-only pub crawl in select cities. The company's Web site shows a pulldown menu suggesting events in Chicago, Atlanta, Austin, Boston, Dallas, Denver, Los Angeles, New York, San Francisco, Seattle and Washington, D.C. Visitors to the site can leave their e-mail addresses to receive information, and are even encouraged to suggest additional cities. The site might be a little bit vague, but it does say that the original date of March 21 was pushed to April 18 to "allow for additional time for our guests to acquire their Snuggies and for the bars to prepare for our volume." A confident bunch, they are. Of course you should punch in your e-mail address to get the time and location(s) sent to you. As of this writing Thursday, nearly 500 people have done so. If you go, we recommend knowing when to say when, or else you might need a healthy dose of Head-On the next day, for fast, effective relief. You definitely don't want to be couch-ridden when those Billy Mays commercials come on. Being outdoors would be far better, especially if you're throwing a football through a tire hanging from a tree branch. 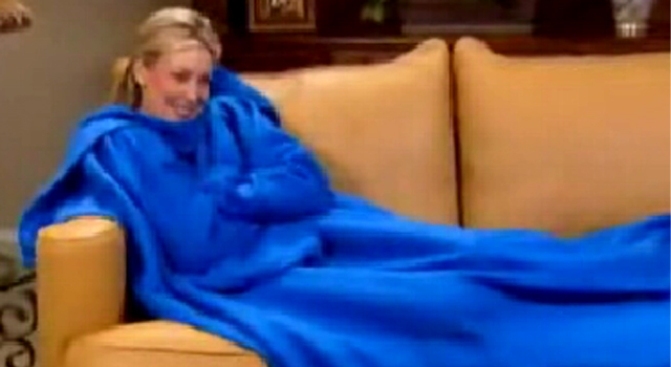 A recent "Today" show did an entertaining piece on the Snuggies craze.